A seven year old girl who thrives off of catching tadpoles, climbing trees and getting dirty, finds the indoor life to be rather boring. With the aid of her vivid imagination, when she steps into her backyard, it becomes an endless world of adventure and exploration. Her inquisitive nature keeps her in wonder of God’s magnificent creation. She is respectful and obeys instruction but can be easily influenced and is prone to getting sidetracked. 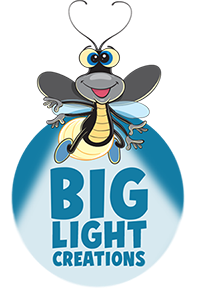 A young bug who demonstrates KINDNESS with his warm and generous spirit. His bright light shines on difficult situations and he speaks up for what’s right, even if it’s unpopular. Firefly is always willing to help others by going the extra mile. Demonstrates MEEKNESS and is the motherly figure to her friends. She encourages the group to live and keep pride in check. She often has to gently remind her friends to use their manners. Miss Spider is a very talented “web designer” and never ceases to amaze her friends with her web-spinning creativity. Demonstrates SELF-CONTROL (with the exception of sugar, which is his kryptonite) by working to focus on the godly way of thinking, speaking, and behaving. 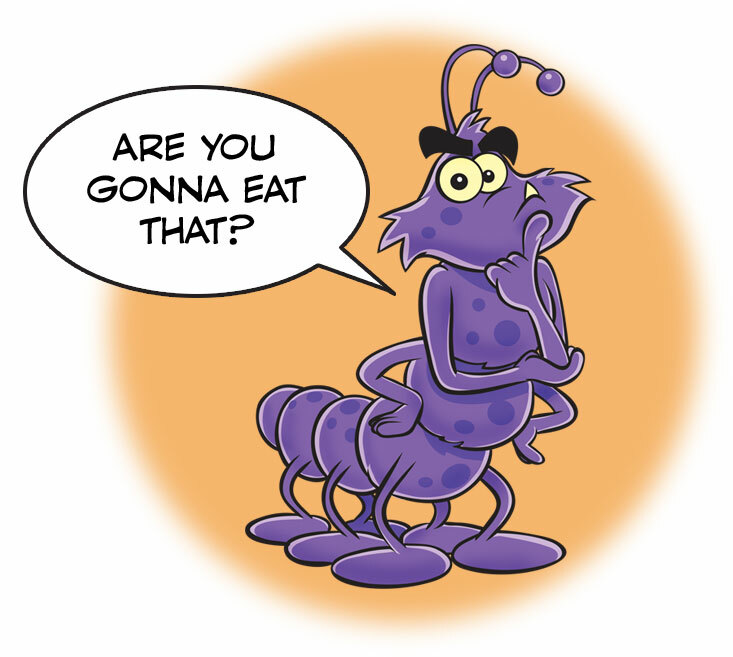 Sometimes Maggie’s impulsiveness makes him a little nervous, but other than that, the only other concern for Sugar Bug is not missing a meal. Demonstrates PEACE in all circumstances. He’s quick to go to that secret place in his heart instead of worrying or being afraid, and teaches that true peace can only come from God. He’s eclectic, hilarious and can mimic just about anyone’s voice. Demonstrates PATIENCE with his concentrated strength. He’s slow and steady, providing an example to his friends that a patient heart can endure through ALL things when you put your eyes on Him. He tends to find himself in sticky situations, along with some sticky messes, but sometimes his stickiness comes in handy. Demonstrates the power of LOVE. She always extends grace to those who have done wrong, demonstrating to her friends to accept the shortcomings of others. With an attention span of…a…well, a love bug, she flutters here and there, spreading the love. A roly poly beetle who demonstrates JOY and always comes rolling in like a ball of sunshine, bringing light to every situation. He’s also a bit of a jokester and keeps his friends amused (sometimes unintentionally). 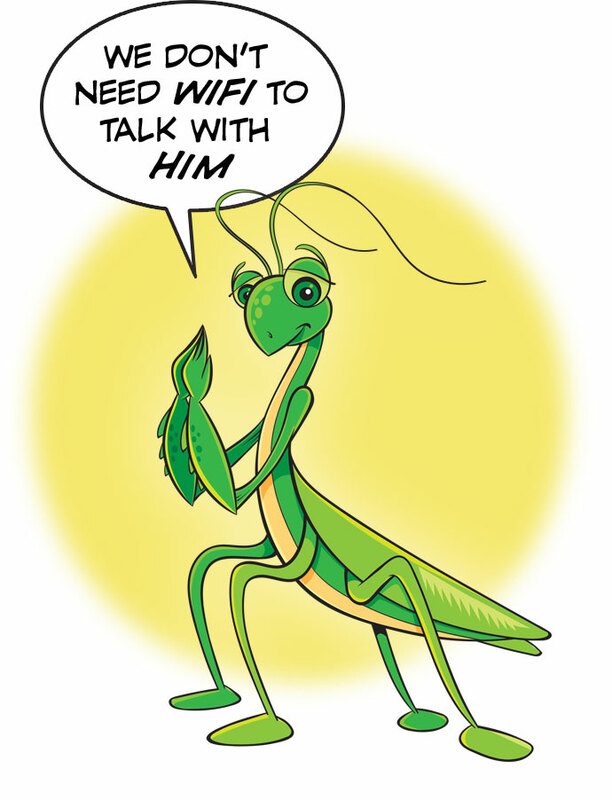 A praying mantis who demonstrates FAITHFULNESS. He is the wise, “monk-like” fatherly figure to the friends and advises them through their challenges, but only when they ask. Otherwise, he spends most of his time praying and praising God. 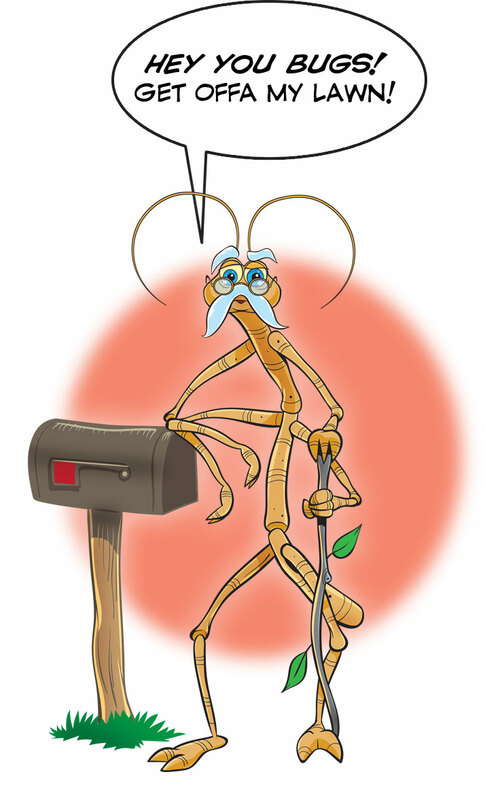 A senior citizen stick bug who demonstrates GOODNESS and shows that doing good for others should be a lifestyle, even when you may not think it’s justified. He’s a bit of an “old codger”, and sometimes comes across as being opinionated, but has a soft heart. A sneaky night crawler who creeps in and out of conversation in attempts to create doubt in Maggie’s mind. He changes his body into different shapes and tries to trick her into believing that what he says is true. Maggie’s bug friends always encourage her to respond to Ace with the things that are written in her Bible. Maggie's mom inspires her to live life to the fullest and encourages her through every mud puddle and mishap along the way. Mom is an author, blogger and gardener who seizes every opportunity to plant seeds in her garden and in others which will blossom into beautiful fruit. She encourages Maggie to eat oodles of vegetables that she grows in her garden and prepares for meals. When picking up Maggie's room, she continually finds sleepy bug friends who have hitched a ride inside. She promptly (but gently) tosses them back outside. Maggie's Dad is the captain of her heart, but because of his job as a cargo pilot and missionary work, he is away from home more than Maggie would like. His work inspires him to see the usefulness in everyone and everything. This sparks in him a passion to salvage things that others have tossed out, or would consider junk, and repair or restore them (with varying levels of success). Dad finds the bug friends entertaining and loves to join them and Maggie when he can. Mac, (yes Maggie, we have to mention Mac), is Maggie's 5- year- old pesky, but brilliant brother. He loves to rat Maggie out to their parents when she isn't following the rules. Mac's scientific mind causes him to question much of what Maggie says, leading him to test and experiment any new idea she presents. 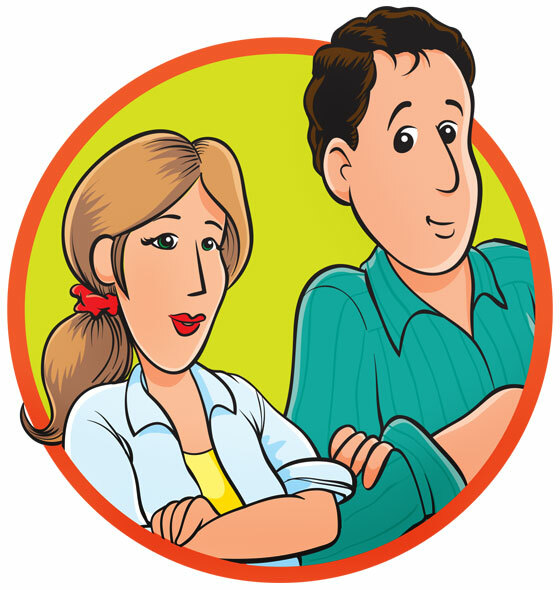 Maggie finds his inventions useful when she needs a new gadget for her tree house, but it always comes with a price. The bug friends are constantly trying to escape Mac's grasp to avoid being a scientific study in the dreaded..."JAR! ".